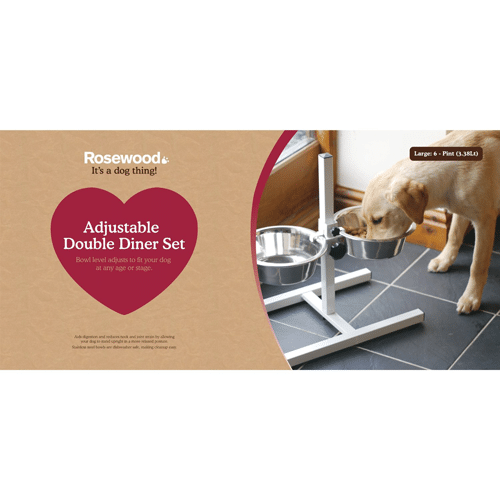 The Stainless Steel Raised Dog Feeder by Rosewood is an adjustable dog feeder which includes two removable bowls for dog's who struggle with ground level feeding. Large dogs who find it easier to feed from a raised level. Will help to: Maintain a correct posture during feeding, putting less strain on your dog’s back and neck allowing your dog to stand upright in a more relaxed posture. Will help keep foreign bodies out of your dog’s bowl, reducing the risk of your dog picking up food related bugs. 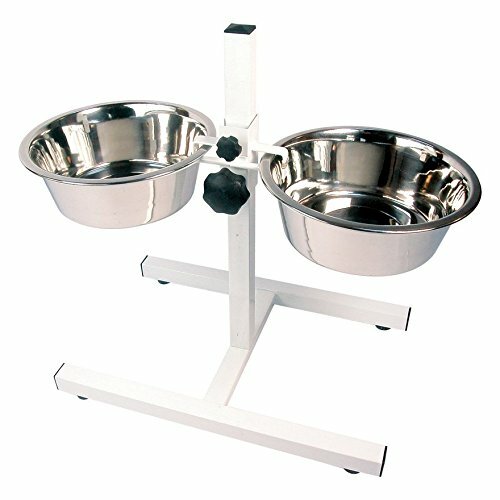 The Stainless Steel Raised Dog Feeder is easy to clean thanks to its dishwasher safe, stainless steel removable bowls and the stand can be wiped clean with a damp cloth. Material: Stainless Steel.